Experience the celebrations kicking off the 2017-18 academic year! Our Student Involvement team, Associated Students, Inc. and Dog Days host a variety of activities at the beginning of each fall semester to welcome new and continuing students. 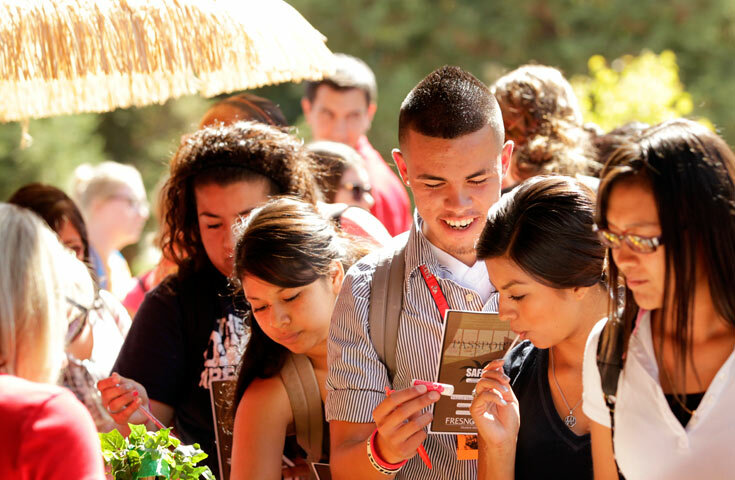 Check out the events below and get engaged with student life at Fresno State! New Student Convocation is our official ceremony welcoming new freshman, transfer and graduate students to the Fresno State family! ........and much more! For a full list of Welcome events, visit our website. Click here to see Weeks of Welcome 2015 Events! For more information on Fresno State Welcome, visit www.fresnostate.edu/welcome-week, call the Student Involvement Center at 559.278.2741, or stop by USU Room 306.